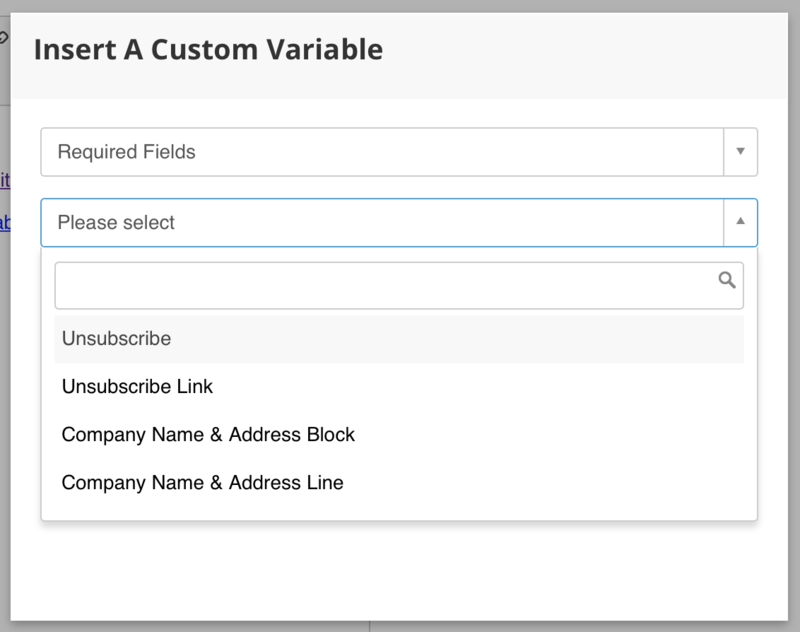 We've just made it a lot easier for you to ensure the unsubscribe links in your emails look spot on by creating a little bit more flexibility surrounding how the unsubscribe links work from an email design point of view. If you don't wish to hear from us again you can [[unsubscribe]]. If you don't wish to hear from us again you can unsubscribe. This is for those of you who want to have more control over how the unsubscribe link looks in your email. You can pop the [[unsubscribe_link]] link as a URL behind your desired text. 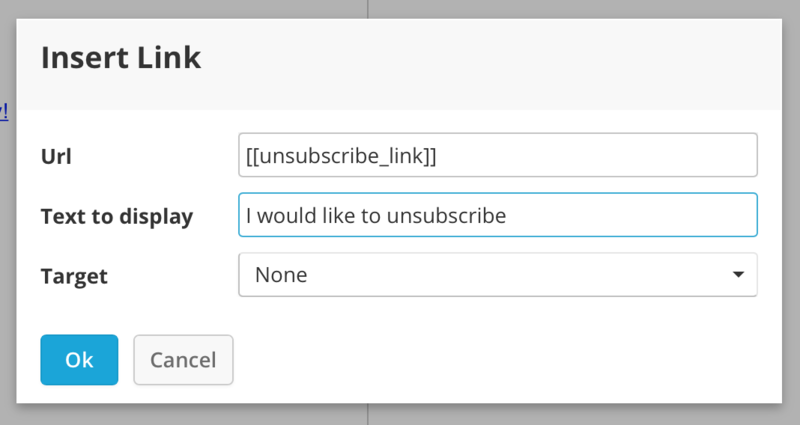 This is great if you want the ability to customise the unsubscribe text. For example, you may want to have 'I would like to unsubscribe' as your text. If so, start by typing this and then highlighting it all. Next up, click the Insert/edit link. This will bring up a pop up where you will need to type [[unsubscribe_link]]. If you decide to do it this way, you need to be super careful to type [[unsubscribe_link]] to ensure that this works correctly. If you spell it incorrectly, or type [[unsubscribe]], your link will not work.